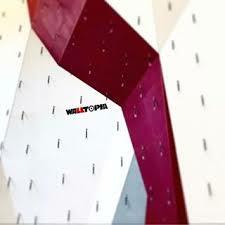 Founded in 1998, Walltopia is now the world europians leading climbing wall manufacturer with over 1800 projects in more than 50 countries around the globe. Aside from climbing walls, Walltopia now designs and manufactures a wide range of active entertainment attractions including ropes courses (Ropetopia), interactive climbing walls for children and adults (Fun Walls), challenging obstacle courses (Ninja Course), artificial caving systems (Rocktopia), and a brand new ride that combines the feel of zip lining, hang gliding and roller coaster riding (Rollglider). We seek challenges and set trends. We are committed to the continuous improvement of our operation, products and services in order to ensure an exceptional contribution to our clientâ€²s success. Walltopia is built by more than 700 people, who strongly believe in the corporate values based on taking responsibility and creating value.